A few days ago, I witnessed an email conversation in which a participant of an international scientific conference asked the organiser about the whereabouts of his video: “Where is the video recording of my lecture?” The organiser was equally perplexed: “It seems that many videos have been removed. Including videos of the conferences held in 2014 and 2015.” What had happened? Recordings had been made of the lectures at the conference concerned and the videos had been uploaded onto a well-known commercial video portal. Today, just one year later, some of the videos are no longer available. The world of science thrives on exchange, communication and the dissemination of scientific results, ideas and projects. This takes place to a large extent at conferences, congresses, symposia, workshops, etc., without which the scientific landscape would be inconceivable. Current research is presented at conferences, and networks are established; conferences are identity-forming for a scientific community. The results are traditionally published in the form of conference proceedings, documenting the current state of research. In addition to printed conference proceedings, conference presentations are increasingly recorded and the videos subsequently published. As such, these videos are also an important element of contemporary scientific outputs and thus part of our cultural heritage. Unfortunately, no sustainable standard has become established for handling these important documents. Instead, in most cases these videos are published on YouTube, vimeo or other similar platforms or directly on the conference website – often with the result described above. The majority of the videos can no longer be found after a short time. There may be several reasons for this. If the URL changes, external links lead to nowhere. 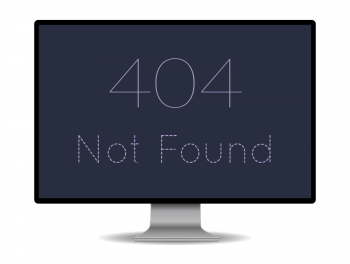 Once a conference has ended, the conference website is no longer maintained and is often soon offline. Commercial video platforms may also remove videos for a variety of reasons, not all of which are transparent. In any case, access to videos is made difficult and, in the worst case, they disappear for good. 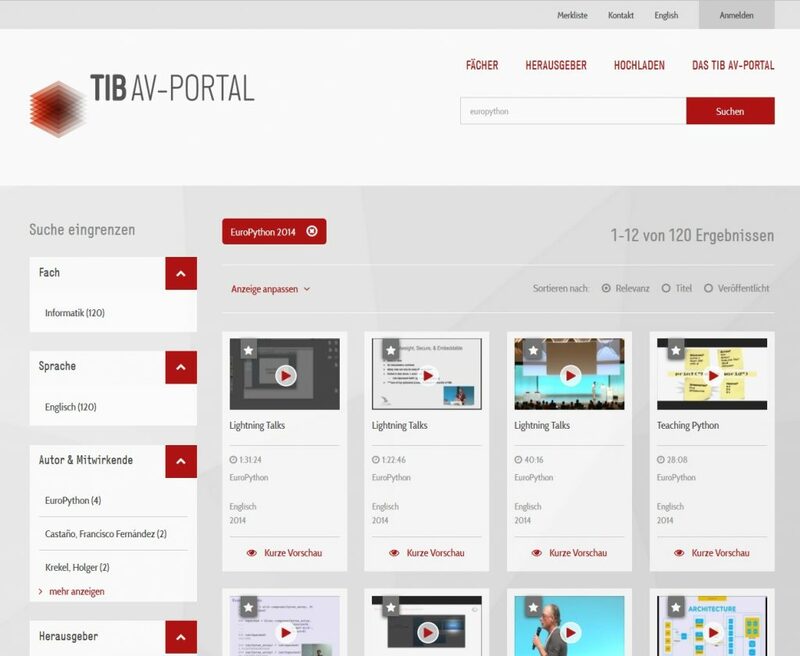 In order to prevent the loss of conference videos (and other scientific videos), the TIB AV-Portal represents a platform that makes videos (mainly) from the areas of technology, architecture, chemistry, computer science, mathematics and physics freely available on a permanent basis. All videos are assigned a Digital Object Identifier (DOI), i.e. a permanent and explicit identifier that also remains valid even if the URL of the video changes. In this way, it can be ensured that digital objects can be linked and retrieved permanently. As a result, videos in the AV-Portal can not only be linked reliably, but also cited correctly in scholarly work. In addition, the AV-Portal ensures that the videos of different conferences from different years are united at one place. Those in search of a recording of a lecture who are unsure in which year and at which conference the presentation was given no longer have to painstakingly search through the individual pages of different conferences – they find everything here at a glance. Further advantages of the TIB AV-Portal include the ability to cite to the second and to search spoken and written text in the video. Over 500 new conference videos were uploaded onto the AV-Portal a few days ago. This image shows the page with 120 videos from EuroPython 2014. In the light of the above, the Competence Centre for Non-Textual Materials, which supports the TIB AV-Portal, is delighted to have added more than 500 new videos to the collection of conference videos in the past few days. Most of these videos, namely 191 of them, originate from this year’s FOSS4G conference in Bonn, an annual international Open Source conference for geoinformatics specialists. The acronym FOSS4G stands for Free and Open Source Software for Geospatial. Altogether, 290 FOSS4G videos are therefore now available in the AV-Portal. In second place, with 120 videos, is EuroPython 2014, a conference on the programming language Python, followed by the Free and Open Software Conference FrOSCon 2015 with 80 videos. More than 100 other videos originate from a variety of smaller conferences. “We are so proud that you can find our videos from 2015 on Technische Informationsbibliothek – TIB. Watch them to recall the experience and prepare for this year’s hacker festival! The conference organiser mentioned at the start of my blog post is also in touch with TIB to ensure that the vanished conference videos can be kept safe this time in the AV-Portal. In this way, a good, sustainable solution may therefore ultimately be found for all those involved.